In this post, i am going to discuss on adding subtitles to MP4 file which means merging subtitles to MP4 video files. 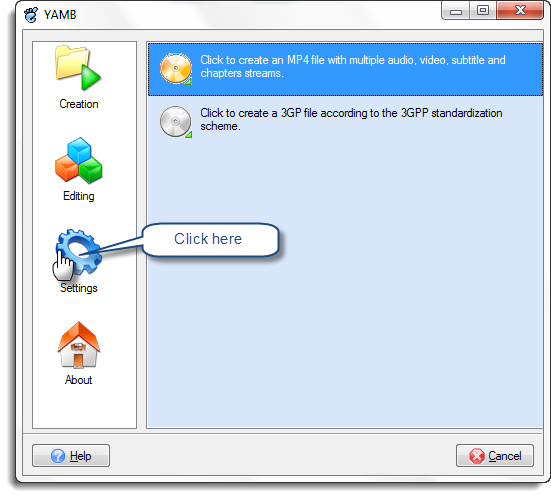 Sometimes, you need to add subtitles to Mp4 so that this step by step guide will help you for doing this. Initially, prepare the Mp4 Video file which you need to add subtitles and get the corresponding subtitle file by searching on google. Download the application using below link and extract into a folder. After that you can see the content of the folder like below. Now, follow this complete procedure below. 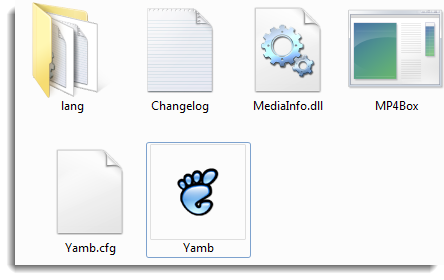 Run the Yamb file and then click on settings and again click on Advanced settings. Give the path of MP4Box file. In this case you don't need to change the this path it will automatically configured since all the files of the application are in same folder. Then Click Next to continue. Add the Mp4 Video file and the subtitle file to the application that you need to merge subtitles. Keep in mind to change the file name in the output filed otherwise, the new file will overwrite the original video file. Therefore, give a different name to save the file. link Do not forget to leave your comments below. I'm pretty excited about this. u've made my work much simpler. thanks. An outstanding share! I've just forwarded this onto a friend who had been conducting a little research on this. And he actually ordered me breakfast due to the fact that I found it for him... lol. So let me reword this.... Thank YOU for the meal!! But yeah, thanks for spending some time to talk about this matter here on your website. I was suggested this website by my cousin. I'm not sure whether this post is written by him as no one else know such detailed about my trouble. You're incredible! I almost never comment, however i did some searching and wound up here "Add subtitles to MP4 Video file". And I do have 2 questions for you if it's allright. Could it be just me or does it give the impression like some of the responses come across like they are coming from brain dead individuals? :-P And, if you are writing on other sites, I would like to follow anything new you have to post. Would you list of all of all your shared sites like your linkedin profile, Facebook page or twitter feed? with a few original thoughts on this issue. Seriously.. thanks for starting this up. me. Anyhow, I'm definitely glad I found it and I'll be book-marking and checking back frequently! for your blog in exchange fοr a link bаcκ tο minе. Please ѕеnd me аn e-mаil if intеrеsted. cheсk back later оn аnd see іf the problem ѕtill exists. What's up to all, how is everything, I think every one is getting more from this site, and your views are good for new people. I ωas suggeѕteԁ this web sіte by my cousin. It is appгopriate time to make a few plans for the long run аnd it iѕ time to be happy. Hi it's me, I am also visiting this site regularly, this website is truly fastidious and the people are in fact sharing fastidious thoughts. this partіcular infoгmation foг a long timе. Thanκ you and good luck. Way coоl! Ѕome extremеly valid points! I appreciate you wrіtіng this articlе and also the rest of the website is νery good. I use iDealshare VideoGo to add subtitles to MP4, it also helps to add subtitles to other video like AVI, MKV, WMV, MOV, VOB and etc. It has both Mac version and Windows version.